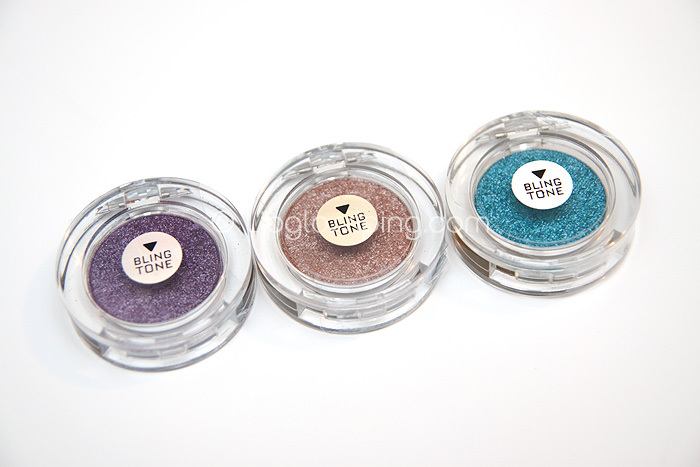 Worth nearly £30, I’ve got three MyFace Cosmetics Blingtone Eyeshadows for one lucky soul to win today! MyFace Blingtone Single Eye Shadow are ultra-modern, show-stopping eye shadows that deliver super-chic, shimmery glamour. The shades are: Purple Haze, Morococo and Caribbean Queen. Leave a comment to enter. Giveaway closes at 23:59GMT on 14th January. Beautiful shades, enter me please! Ooh i love the colours, enter me please! Love this enter me please! Wonderful finds! Thanks for this! Count me in! These look stunning! Please enter me! oh i’ve seen these in boots! they look lovely!! Please enter me, the blue one looks stunning! Enter me please, remember these from last time! Love the colours! Please enter me Thank you! Ooooo, they look so glittery. Enter me please. LoL Yes I am feeling lucky–enter me please! shiny sparkley things? ooooh, yes please – enter me! Ooooh, this would be really fun to try! i have an eyeshadow called purple haze by ud, would be nice to have them both! Those eyeshadows are really pretty … please enter me, and thank you for the giveaway! Please enter me Char! I wish I could enter more often but things have been so busy at work that I come home hungry and then collapse into bed to get a few extra minutes of shuteye. OOooo, nice! Enter me please! these are the exact 3 colours i would choose! enter me please & hello from Australia! Oh my goodness, what fabulous colors and I love the shimmer too. Please enter me! OMG i love that tea colour ! Purple Haze is wonderful!! I need it, entre me please! I love the purple one… enter me please! Please enter me! These look so pretty! thank you! Morocco soon and love Purple Haze cocktails. Love all those colours! Please enter me! Those are my favourite e/s colours, and with extra bling… yes please! Enter me please, they are sooo pretty! Enter me please :)! Thanks. Love your giveaways! Enter me please! Nice colours! Enter me please! Still really wanting that turqouise! ohh, perrrrrrrrrrrrrdy!!! enter me please! Oooh these are so pretty (hmm btw is it ok to change one’s handle? Email is the same). I somehow can’t remember these from the advent giveaway, but they look gorgeous! Enter me please! Caribbean Queen would be my favorite. These are such great colors! I was eyeing these up in Boots today, they’re so pretty, I would love to win them! Love the colors, they are very pretty! pretty colours, especially the purple one! these looks GORGEOUS in the pans. very exciting! *coos lovingly* i hope i win these! they’re amazing! I would like to be entered! Exciting colours! Enter me please! What a gorgeous colors! Sign me up…I mean enter me please! I missed entering last time on this one. Please enter me in the giveaway! Wow! Those three colors are gorgeous! The eyeshadows look so amazing!! Lovely colours. Enter me, please! I really want to try the one in the middle. These look gorgeous, especially Morocco and Purple Haze. Please enter ‘me and thanks for the chance! Waay pretty! Morocco looks perfect.